Fall is right around the corner. With fall comes the latest major update to Windows 10 – the Windows 10 Fall Creators Update. Coming off the heels of the spring Creators Update, Microsoft wants to further capitalize on the improvements to the OS for the year. The original Creators Update changed the way Windows update works, added 4K and 3D functionality, as well as improved a variety of background functions to increase the stability of Windows 10. Let’s look at what we know about the Windows 10 Fall Creators Update and what you can expect from the next version of Windows 10. Note: As with the release of latest updates, features, services, and more be not make it to the final release version of the Windows 10 Fall Creators Update. Keep that in mind as you continue reading. If you copy and paste like a pro, you’ve probably wished this functionality was part of the Windows 10 ecosystem. With the Fall Creators Update, it will be. 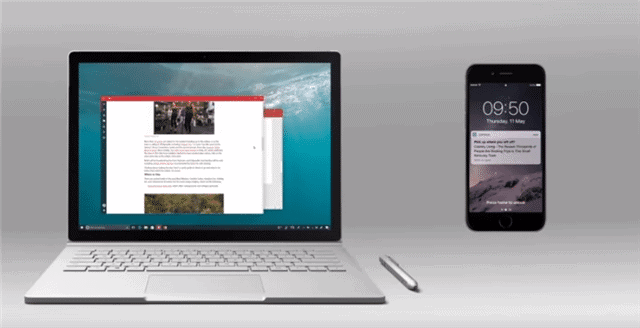 A Clipboard app, if you will, will be used to copy and paste items between linked devices running Windows 10. This will be tied to your Microsoft Account, so it will only be available if you use one account across multiple Windows 10 devices. Like most of the fluidity of Windows 10, Cortana sees updates as frequently as most others major areas of the OS. The Fall Creators Update is no exception. Cortana will finally have its own dedicated settings within the Settings app much to the delight of those of us who use her and get frustrated with changing settings here and there. Cortana will also allow you to pick up where you left off between devices link on a Microsoft Account. One of the nifty features finally coming to Cortana is the ability to lock, restart, and shut down your PC with voice command. It also looks like you’ll be able to remote lock your PC from a linked phone or device if necessary. Microsoft Timeline is a visual search timeline that allows users to go back to applications they have worked on. When opened, this will open a given program in the same state it was closed. For example, if you were working on a specific email in Outlook and closed the program as is, the next time you open it, that email will be right where you left it to continue working on it. The My People Hub should finally be released in the Windows 10 Fall Creators Update after being teased as part of the original Creators Update. This functionality was originally part of the Windows Phone series and will come to Windows 10 to manage contacts, interact with them and more. Think of WhatsApp on steroids and that’s what My People Hub is shaping up to be for the Windows family of devices. You’ll be able to talk to contacts, Skype them, share with them, and more all from its Windows app. 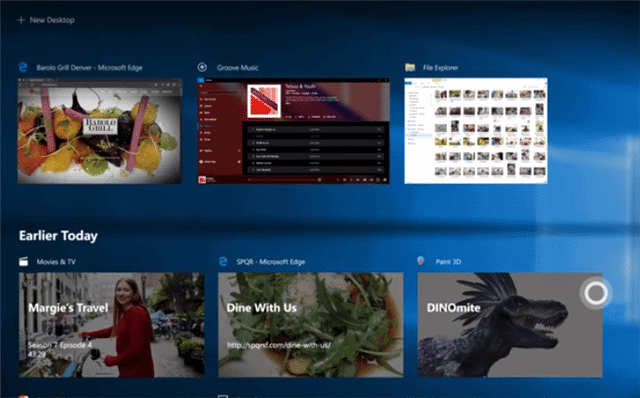 Depending on how you use Microsoft OneDrive, you may or may not store all files on the cloud, on your PC, or on both. Many users choose how to store files based on the amount of hard drive space they’re working with offline. 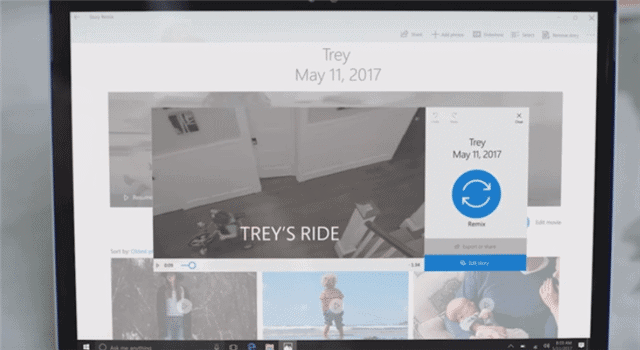 With the Windows 10 Fall Creators Update, OneDrive will add on demand or placeholder functionality allowing you to see and instantly download files if they’re not being stored on the cloud and on the PC, you’re working with. While this functionality technically already exists, the improvements to it should make downloading those files quicker and more efficient than before for users working between multiple devices. While this functionality technically already exists, the improvements to it should make downloading those files quicker and more efficient than before for users working between multiple devices. Windows Story Remix has been teased since 2016 and allows users to create vivid stories with photos, videos, and more. Integrating with Groove Music and Remix 3D, users will start with a base story the app will put together based on what you’ve imported into it. From there, the sky’s the limit with creativity, design, and customization. iTunes finally comes to the Windows Store. Project Neon, now known as the Fluent Design System, comes to Windows 10. This design language will further allow developers to create apps and more on the Windows platform. So far, the Windows 10 Fall Creators Update is shaping up to be a behind the scenes and feature rich improvement to the Windows 10 OS. While no official date has been released, yet, it’s only a matter of time before Microsoft more aggressively pushes out a final build. What will make it into the Fall Creators Update? Time will tell and TechNorms will be here to cover it all! What will make it into the Fall Creators Update? Time will tell and TechNorms will be here to cover it all!